The WWE blew up their original plan for the Survivor Series with AJ Styles dropping the WWE title to Daniel Bryan on SmackDown in St. Louis. The rematch between Styles and Bryan was set up during the opening segment and culminated with Bryan kicking Styles low behind the referee’s back and winning with the Busaiku knee. 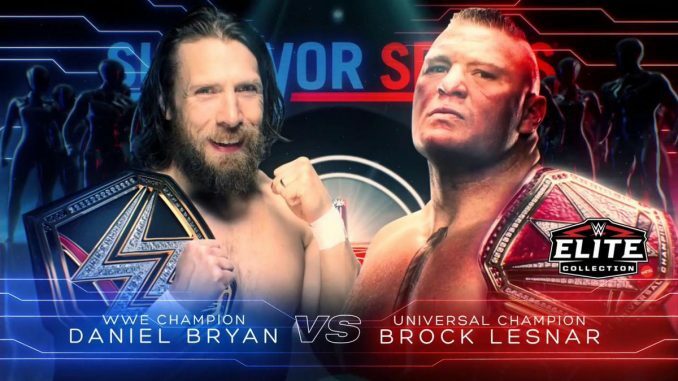 The outcome sets up Brock Lesnar and Daniel Bryan to meet at Sunday’s Survivor Series for the first time ever. The two were scheduled to headline SummerSlam in 2014, but the match never happened due to Bryan’s health issues. Bryan was forced to vacate the WWE title that year and led to John Cena facing Lesnar instead at the event. Styles had been the WWE champion for over one-year and plans for a rematch with Lesnar were thrown out the window Tuesday. The card has seen a dramatic change after Becky Lynch was injured during Monday’s episode of Raw and will be unable to wrestle Ronda Rousey on Sunday and will be replaced by Charlotte Flair. Earlier in the night, Bryan was removed from the men’s Survivor Series team and replaced by Jeff Hardy.